The Skyhawk Student Help Desk is located in the 2F01 open computer lab. The Help Desk is open during Fall, Spring, and Summer semesters. Check the schedule here. 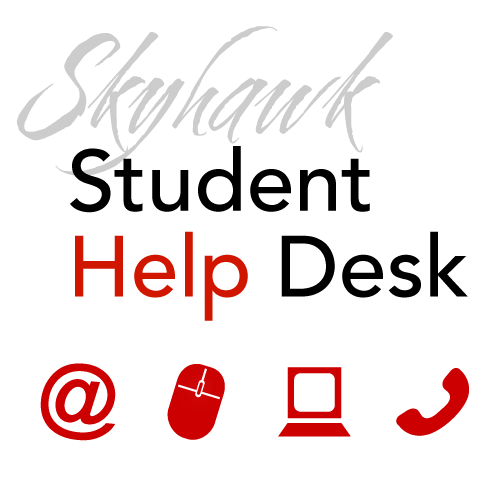 To reach the Skyhawk Student Help Desk by phone, call 815-835-6544 (ext. 544 from a campus phone). Student Email? Try the Student Email support pages. Canvas? Try the Learn Canvas support page. Accessing your Sauk student accounts? Help improving how your computer is working? Here are some helpful links. Visit the Skyhawk Student Help Desk in 2F01 for assistance during these hours or email a detailed description of your problem to help@svcc.edu and ITS staff will reply as soon as possible.